The day will really be very bad, in the morning sitting in front of the computer, press the power button but your computer is not turning on. Yes, various types of computer problems may occur but the most annoying problem is if the computer won’t boot. For many reasons, your computer may not be turn on. Add to this the fact that whatever is causing your computer not to start could be an expensive part of your desktop or laptop to replace - like the motherboard or CPU. This problem causes because of modification. However, in this article, I have mentioned the reasons for not turn on a Computer / Laptop / PC and possible solutions. And yes, there is no reason to worry about what happens on your computer. Don’t panic! Your Data is protected here. No matter what Windows Operating System you have installed on your hard drive, you can access data using Linux Live USB. Most people tend to fear when faced with a computer that won’t turn on, worried that all their important data is gone forever. Yes it’s true that the most common reason a computer won’t turn on is because a part of hardware has failed or is causing a problem. But the most time computer won’t start because of ordinary problem, first it should be find out. First of all, check if your computer is plugged properly on a wall socket. If it is okay then you may use UPS, sometimes due to a problem with UPS, your computer may not be on. Maybe UPS can’t supply power properly. Unplug the UPS and insert the power source directly into the computer. Verify that the power supply voltage switch is set correctly if you're on a desktop. 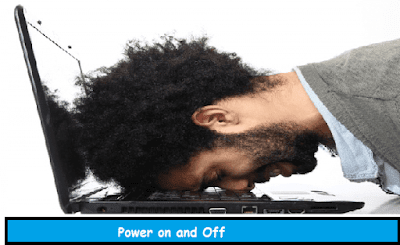 If the laptop is not able to supply the voltage properly, the laptop won’t start. If the laptop run on the battery, then there may be a problem with the battery, so remove the battery and try to turn on the laptop with the charger. The computer may not be start due to the interruption of power supply unit. In that case, the power supply may have to be changed. Also computer may not turn on for bad PC Casing. Crack up power switch of casing is nothing to surprise.in that case make short circuit on motherboard, then check if the computer is going on. There are several types of problems why a computer won’t turn on. For example, your computer is going on but it's turning off itself. Your computer may restart repeatedly, and may show a Blue Error screen. If you hear the sound of hard drive spinning inside your computer, see some or all of the lights on your computer turn on or flash, and then turn off the computer by itself. In this case, there may be problem of power supply. Or there may be a problem with the cable in the PC. Unplug all the cables one by one at a time. Don’t worry, plug the cables in the same way of unplugging. 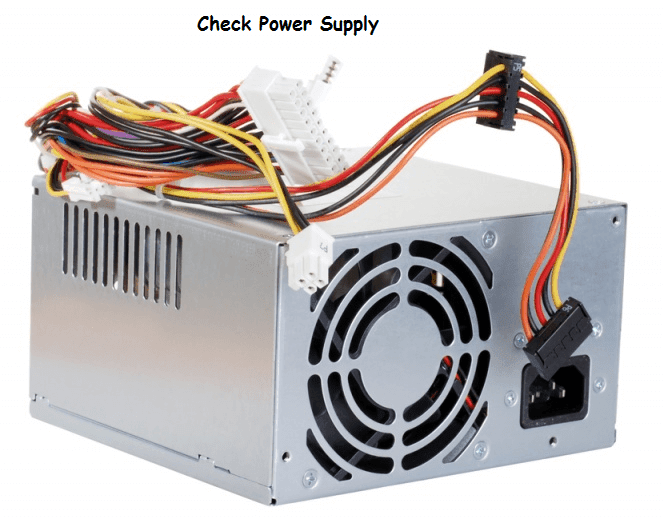 If the problem is not fix, then the power supply should be replaced. Most of the times your PC may have not a problem but there have monitor problem. If you see your PC is On, means you heard the sound of fan and hard drive with beep sound at the time of turning on PC. In this situation there may have a problem in your monitor. First check VGA or HDMI cable. Now put another monitor to see if everything is okay. Maybe your computer begins to load of Window but suddenly a Blue Screen appears on the screen and the computer is rebooted automatically by displaying the error message. 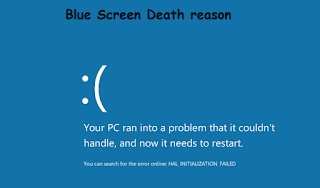 This error is called the Blue Screen of Death, It is a common problem for many computers. For that your computer cannot turn on and take restart repeatedly. 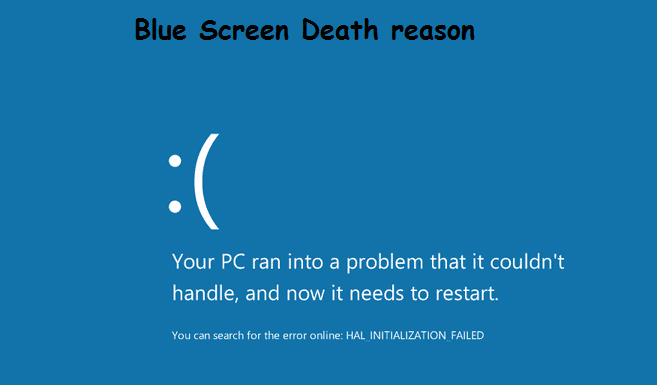 Blue Screen of death shows the message of Error, Take a look at the error message from here and search it with Google. This problem can often happen from defective hardware or hardware drivers. To understand the problem, you must check the Error messages. If the computer shows an error message after a while, then I suggest you to update Drivers’ Software for your hardware, which resolves 80% problem. If the problem is not solved then surely there is a hardware problem. When you power on your computer, but after a while there displayed a message in black screen "Operating System not found"-it may another panic. First check, if you have a USB drive or a DVD inserted on your computer. Most of the times the BIOS wants to boot from the USB drive without booting the computer from the hard drive, in this case, the may show this error “Operating System Not Found”. Just unplug the USB, then it will be okay. There may have more problems in not loading the operating system. In this case, you may need to repair your windows. Just insert Windows Installation Disk or USB, then go to repair mode, Windows will automatically try to repair your Windows files. There were some common problems and solutions, which you can check if Windows PC / Laptop is not bootable. Yes, there may have many types of problems, even some have no ideas, such problems can happen. It is not possible to describe all the problems in a single article. Of course, you can comment me down what problems are you facing, or try to solve with Google.